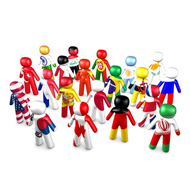 We provide high quality multi-language translation services. Our skilled staff, each of who specialize in various fields and languages, has more than 20 years of experience. We can work around almost any budget and timeline, so don’t hesitate to contact us for all of your translation and interpretation needs, large or small.